Screencasting can be useful in distance education. 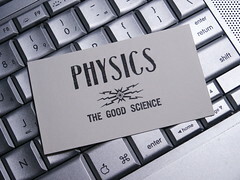 Recently, I met with colleagues who are designing a distance course in physics. In this particular course, the emphasis is on mathematical problem solving. When they deliver the course in class, they spent the first 15-20 minutes of each lecture thoroughly going over solutions from previously assigned homework problems. Students report that this investment of time in problem solving in the classroom really helps them master the subject matter. Consequently, this guided problem solving aspect was the central factor being discussed at a brainstorming meeting about the course. Remote screencasting was the front runner in the discussion. It’s not a new concept – screen casting has been around for years. In January 2005 I first wrote in this blog about a now famous screencast by John Udell on Wikipedia. If you need more info on what a screencast is, check out the Wikipedia article on the subject. So, I put together six phases for creating a good screencast for use in distance education. Create a storyboard. Most people already have a good foundation for a storyboard – a pre-existing PPT slide that is being used in class. To start, make any adjustments to the existing PPT slide that you feel would help illustrate a concept to the learners who will be viewing the screencast remotely. For example, add in some extra animation objects that might emphasize some part of the concept you are trying to explain. One additional consideration is that if your screencast will be above average in length (say more than 5 mins) then try to split your content onto two (or more) PPT slides. Keeping the length to 5 minutes per slide, or less, will make the audio editing and annotation phases (see below) slightly less cumbersome to perform. require edits to your PPT slide as a result of your ‘new and improved’ ideas. It’s far less work to make edits to your PPT slides at this stage then it is in later stages in the screencasting process. Record the audio using your favourite screencasting software (eg, Articulate, Adobe Captivate, etc.). There is no need to use stand-alone audio recording software (such as Audacity, for example) as most modern screencasting tools have audio recording and editing capabilities built-in. Make audio edits using the screencasting software to remove any unwanted ‘um’s and ‘ah’s, etc. Annotate the screencast with pointing arrows, mouse pointers, shadow boxes, as needed. These types of annotations replace the instructor’s ‘pointing finger’ in the classroom and can be very valuable to learners at a distance. The types of annotations possible will vary depending on the specific screencasting software you are using. Articulate has more choices for annotations types when compared to Adobe Captivate. Publish your screencast in Flash at the touch of a button so it can then be uploaded to your learning management system of choice. Remember to archive your source files onto a network drive in case you ever want to make future edits to the screencast. If you follow this process, your first good quality 5 minute screencast can be produced from start to finish in one morning or afternoon. Also, the more you do it the faster you will become. So if you are planning to create a series of these learning objects, budget 3 hours to produce the first one, and budget half that time for the rest. If anyone reading this has any further tips or tricks, please let us know by posting a comment below. Hi excellent pointers on setting up your screencast. I like the idea of using powerpoint as an initial storyboard. What do you think about doing a few dry runs of the topic before recording the audio?